Not the ‘Tiger Tiger’ of drunk women on hen nights dancing with men in bad suits at a dimly lit bar. 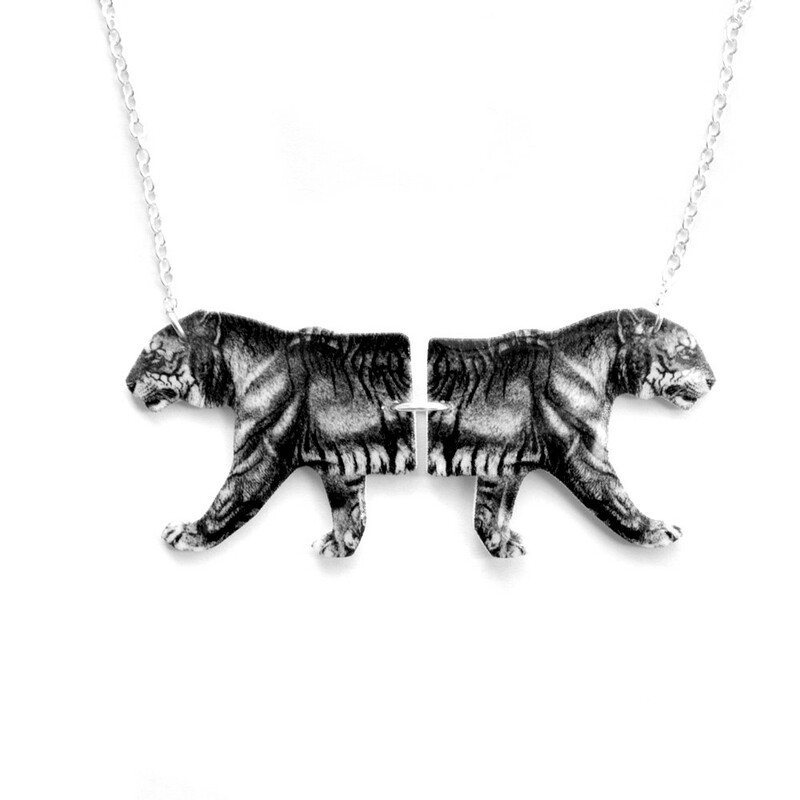 Tilly Bloom has dared to frame this tiger’s symmetry and done a beautiful job, her Tiger Tiger necklace is £18 and available from Culture Label. With the join at the middle I can imagine them prowling gorgeously on the end of their silver plated chain. These tigers reminds me of The Tiger Who Came To Tea, do you remember that book? Oh yes, mine was when the Dad came home & they all went out for dinner. My food obsession started early!